While listening to the sounds of the night, Hamilton Troll hears something that scares him. 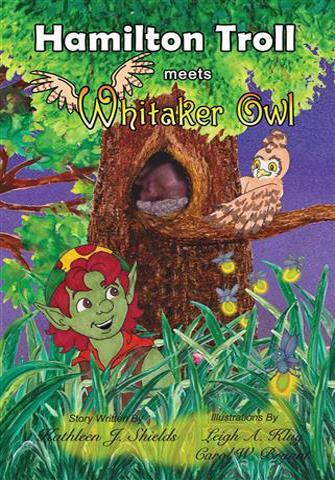 He soon discovers that it is a young owl named Whitaker who is being taught by his parents how to hoot. Unfortunately Whitaker needs a lot of practice. After the lesson is over, Hamilton and Whitaker go for a walk only to discover a large bear entering the area. Worried for their friends who may not be able to get to safety, Whitaker comes up with a daring plan to scare the bear away.